People: Ukrainian nationals belong to 126 ethnic groups. Ukrainians 77.8%; principal minorities include Russians, Byelorussians, Romanians, Greeks, Tartars, Jews, Germans and Bulgarians. Ukrainian Flag: Composed of two equal horizontal bands of blue and yellow colors. It represents ripe wheat under the blue sky. Coat of Arms: Trident (Trizoob) on the blue background. In Kievan Rus it was the coat of arms of the Ryurik Dinasty. Ukraine is basically a bi-lingual Country. You'll find an abundance of Russian speakers in the East and South of the Country, whereas the native Ukrainian speakers you'll find more in the central and western areas. 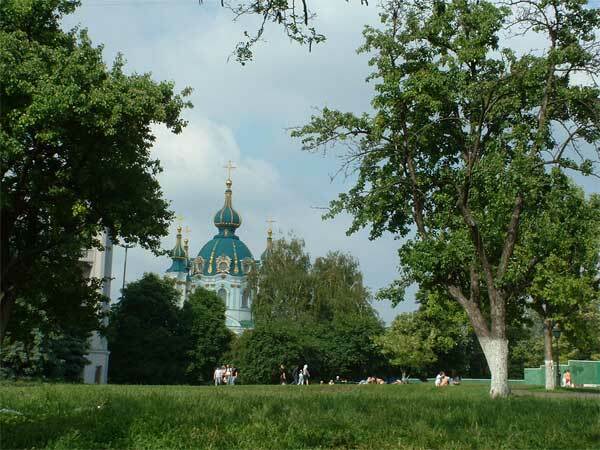 In Kiev (Kyiv), both languages Ukrainian and Russian are spoken. 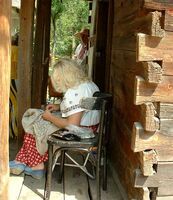 In northern and central Ukraine, Russian is the language of the urban population, while in rural areas Ukrainian or a mix of Ukrainian and Russian (called "surzhik") is much more common. This is also true of much of the south and the east. But you can hardly find anybody speaking Ukrainian in Crimea. Ukraine is the world's 44th-largest country and the biggest country in Europe. It is located in the very heart of Europe (with Europe's geographical center near the town of Rakhiv, Trans-Carpathian oblast ). It is a state in Eastern Europe bordered by Russia to the north and east, Belarus to the north-west, Poland and Slovakia to the west, Hungary, Romania and Moldova to the southwest. The state border extends for a total of 7,590 km. The length of the Ukraine's Sea Coast is 1,959 km. Ukraine is divided into twenty four regions (oblasts) and one autonomous republic Krym (Crimea). Additionally, the cities of Kyiv, the capital, and Sevastopol, both have a special legal status. The country has many different geographic area types. In the South Ukraine is washed by the Black Sea and Azov Sea. There are Carpathian Mountains in the West (the highest point is Mt. Hoverla (2,061 meters) and the Crimean Mountains (the highest point is Roman Kosh (1,545 meters) in the South of the country on the territory of Crimean peninsula. With all of this variation Ukraine is rich with natural beauty. Although the capital of the country is Kyiv, there are many other large cities spread throughout the country such as Odessa, Lviv, Dniepropetrovsk, Donetsk, Kharkiv, Lugansk, Kryvyi Rih and others. Ukraine is situated in the region of the East-European plain. Its most part is locted in low-lying lands. The main and the largest river in Ukraine is Dnipro. It is the third largest in Europe. Its length is 2,285 km, of which 485 km lie within the Russian Federation, 595 km within Belarus, and 1,095 km within Ukraine. 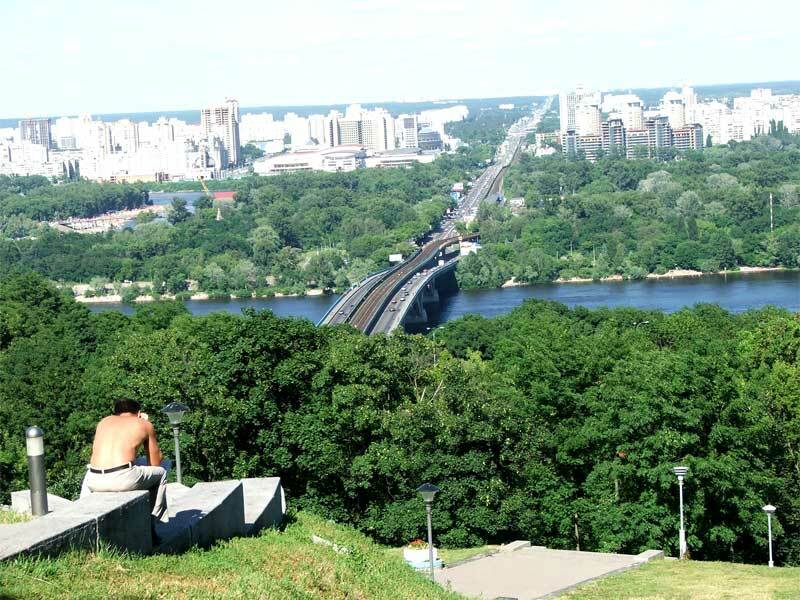 Dnipro flows through the central part of the country into the Black Sea in the South. Other important rivers in Ukraine are: Dnister, Disna, Pivdenny Booh, Sivers'kyi Donets, and Danube. 71% of soil is fertile, including 29.5 million acres of black soil. Ukraine is very rich in old world culture. With many forms of art and architecture visible throughout the country, it is easy to find something of interest no matter where you are. Ukrainian customs are heavily influenced by Christianity, which is the dominant religion in the country. The culture of Ukraine has been also influenced by its eastern and western neighbors, which is reflected in its architecture, music and art. The Communist era had quite a strong effect on the art and writing of Ukraine. 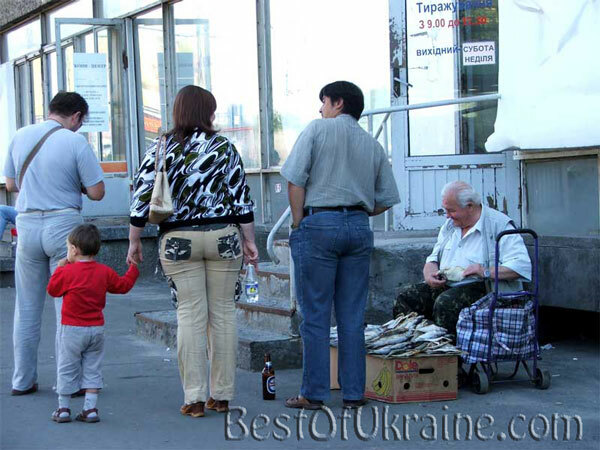 For the tourist, the openness and warmth of the Ukrainian people is unmistakable. The cultural diversity is refreshing, leaving your senses of life, of humanity, broadened and enlightened. Ukraine's people are as curious about you, as you are about them. After all, it's been in near total isolation for a very long time. Social interaction in Ukraine is regulated by etiquette similar to the rest of Europe. Some local idiosyncrasies are a personal space of less than an arm's length in business conversations and the habit of drinking alcohol at business meetings, a relic of Soviet times. See our local customs tips. Ukrainians prefer to eat at home, leaving restaurants for special occasions and generally avoid exotic meats and spices. The traditional Ukrainian food includes pork, beef, chicken, fish and mushrooms. Ukrainians eat a lot of potatoes, grains, fresh and pickled vegetables. Popular traditional dishes are: varenyky (boiled dumplings with potatoes, mushrooms, sauerkraut, cottage cheese, cherries or other berries), salo (salted or smoked pork fat with garlic or other spices) and holubtsi (stuffed cabbage rolls filled with rice, carrots and meat). The main and well known dish is Ukrainian borsch (soup made of beets, cabbage, meat, beans), served with sour cream and "pampooshkas" (fresh little buns with garlic and melted butter on top). Famous Ukrainian specialties also include Chicken Kiev and Kiev Cake. Well known Ukrainian drinks are: stewed fruit (uzvar), juices, milk, buttermilk (kefir), mineral water, tea and coffee, beer, wine and, of course, horilka (which means "vodka" in Russian ;)). Various alcoholic drinks complement the meals. It is customary to offer a drink to guests, who must not refuse it except for health or religious reasons. Get some Ukrainian recipes in our Ukrainian Cuisine section! The economy of Ukraine was the second largest in the Soviet Union, being an important industrial and agricultural component of the country's planned economy. With the collapse of the Soviet system in 1991, the country moved from a planned economy to a market economy. The transition process was very difficult for the majority of the population which plunged into poverty and a struggle. Since that time Ukraine went though the hard times of the formation of the new country with its ups and downs, including hyperinflation and drastic falls in economic output. Nowdays the economy of Ukraine is an emerging free market, with a gross domestic product that has experienced rapid growth in recent years. Ukraine has many of the components of a major European economy - rich farmlands, a well-developed industrial base, highly trained labour, and a good education system. Ukraine is rich in natural resources. It has a major ferrous metal industry, producing cast iron, steel, and pipes. Its chemical industry includes the production of coke, mineral fertilizers, and sulfuric acid. Manufactured goods include metallurgical equipment, diesel locomotives, tractors and automobiles. It also is a major producer of grain, sugar, meat and milk and possesses a broad industrial base, including much of the former USSR's electronics and space industry. Although oil reserves are largely exhausted, it has important energy sources, such as coal, natural gas, hydroelectricity and nuclear fuel raw materials. Ukraine has got large mineral deposits. The country imports most energy supplies, especially oil and natural gas, and to a large extent depends on Russia as an energy supplier. While 25% of the natural gas in Ukraine comes from internal sources, about 35% comes from Russia and 40% from Central Asia through transit routes that Russia controls. At the same time, 85% of the Russian gas is delivered to Western Europe through Ukraine.